Revolver Magazine is currently exclusively streaming the entire sixth studio album by Detroit progressive rock kingpins TILES, the mighty Pretending 2 Run, several days ahead of its worldwide release through Laser’s Edge this week. 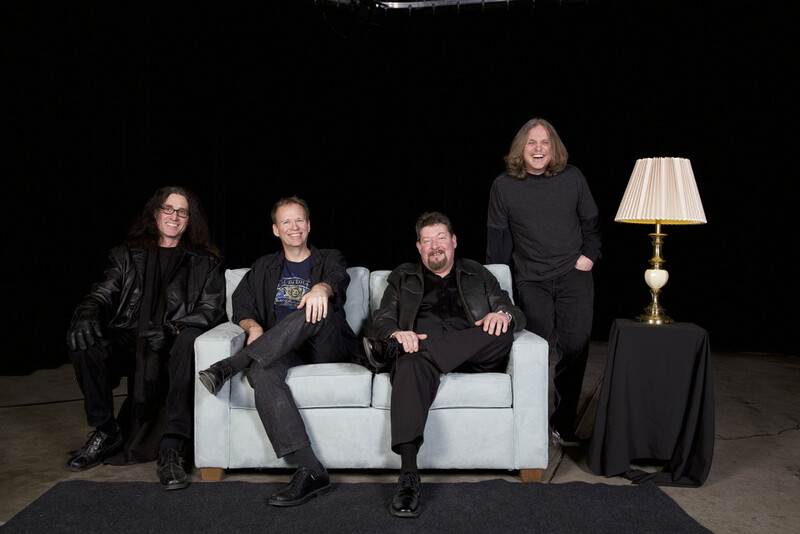 Produced by Terry Brown (Rush, Fates Warning), and with artwork by Hugh Syme (Iron Maiden, Rush, Dream Theater), Pretending 2 Run features guest musicians hailing from such acts as Jethro Tull, Miles Davis, Dream Theater, Steven Wilson Band, Porcupine Tree, and many others, encompassing nearly one-hundred minutes of absolute top-tier prog rock. Stream TILES’ entire Pretending 2 Run only through Revolver now at THIS LOCATION. 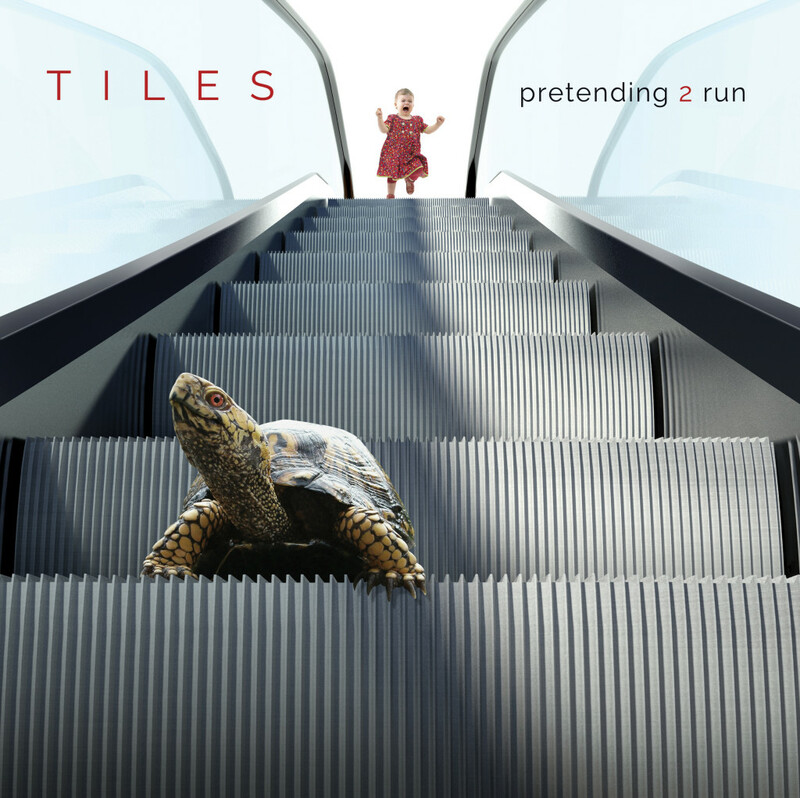 The members of TILES have issued on the looming release of their proud new album, “Pretending 2 Run was a remarkable creative journey and is without question TILES’ crowning achievement. Working with producer Terry Brown to pull together such a massive undertaking and enlisting the talents of so many notable special guests was truly a unique experience – and Hugh Syme’s design and packaging, especially the twenty-eight-page booklet, is a stunning work of art! It’s gratifying to have a project as ambitious as this come together so well. “We began the writing process eager to diversify our sound – to explore other genres and bring out different influences. Because it’s a dark and brooding concept album we were able to veer into art rock territory and weave recurring musical themes, reprises, exotic string arrangements, somber choir pieces, electronic textures and unusual instruments into the arrangements. Not only do the lyrics tell the story, but so does the music as it ebbs and flows and unfolds in unpredictable ways. It was our spirit of adventure that inspired us to collaborate with so many musicians. Our imaginations were on fire so if a song demanded something, we answered with Ian Anderson’s iconic flute, Mike Portnoy’s thundering drums, Mike Stern’s guitar heroics, Adam Holzman’s keyboard and synthesizer wizardry, Colin Edwin’s sonic architecture and a slew of brilliant string and vocal arrangements by Mark Mikel and Matthew Parmenter. And the list doesn’t stop there! We are extremely grateful to our musical guests for their generous contributions of talent. See TILES’ behind-the-scenes trailer for Pretending 2 Run HERE, their official video for “Shelter In Place” HERE, and their “Weightless” lyric video HERE. The band’s first album for Laser’s Edge, Pretending 2 Run sees worldwide release this Friday, April 15th; preorder packages are available HERE. In support of Pretending 2 Run, TILES will tour through Northeastern US run of dates with Laser’s Edge labelmates District 97 in May, with shows in Chicago, Detroit, Baltimore, Dunellen, Philadelphia, New York, and Akron confirmed. The final routing and other live performances will be listed shortly.